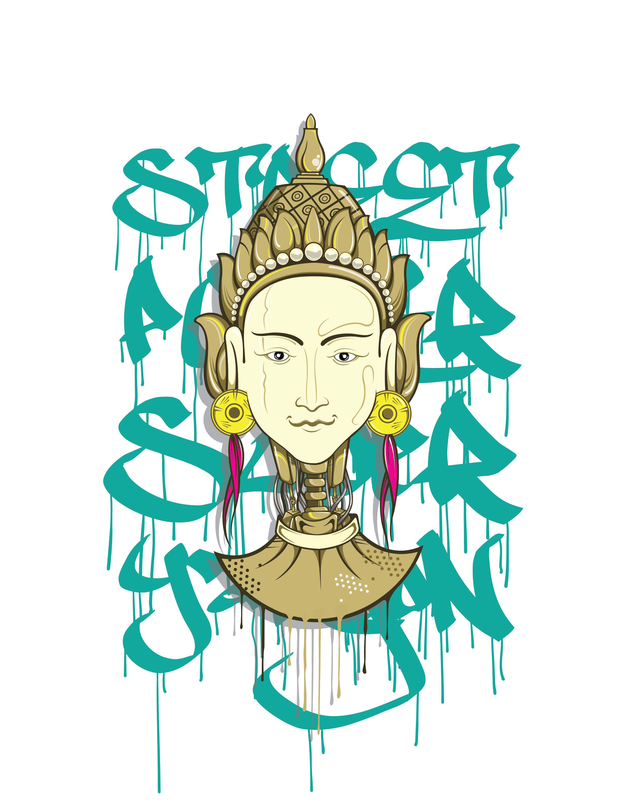 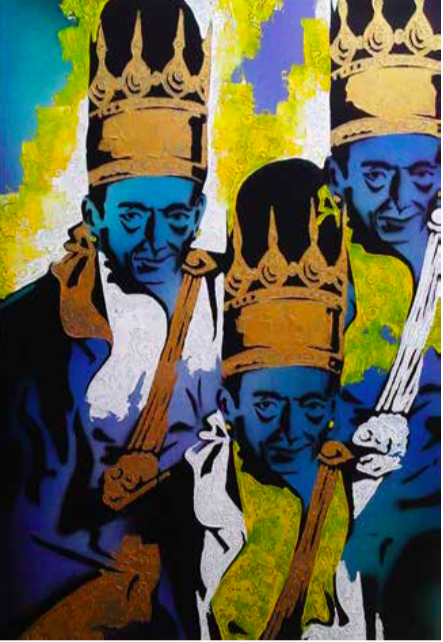 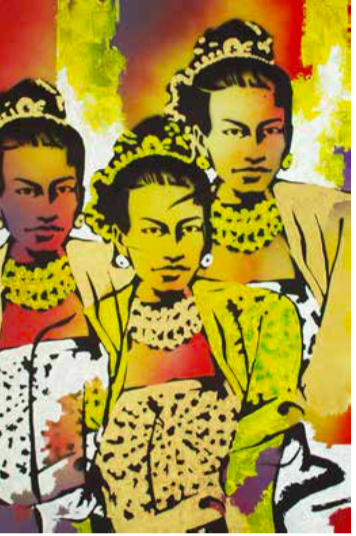 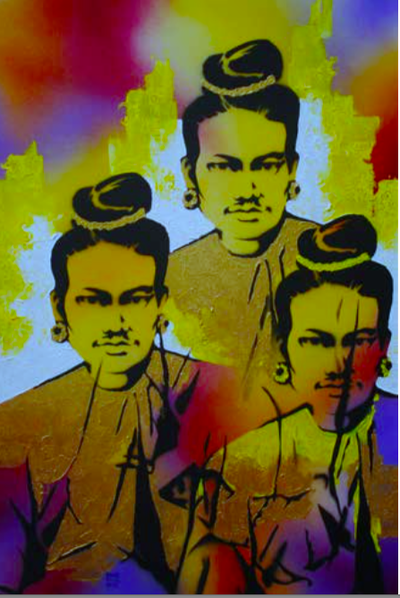 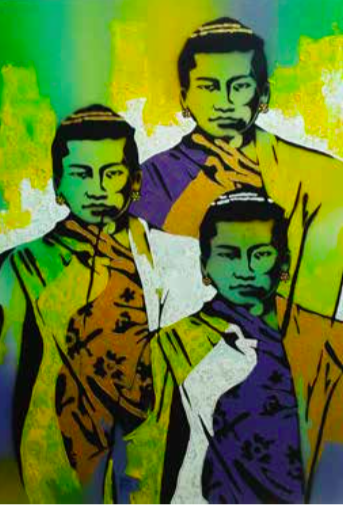 “Myanmar New Wave” showcases a selection of artworks by Street artists Thu Myat and Wunna Aung. 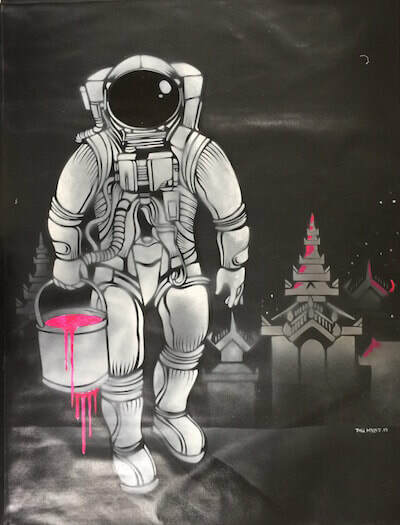 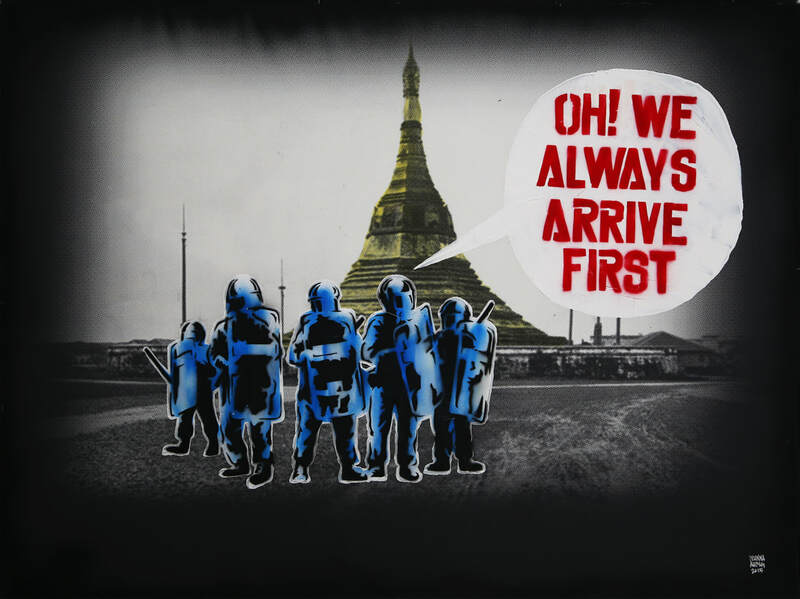 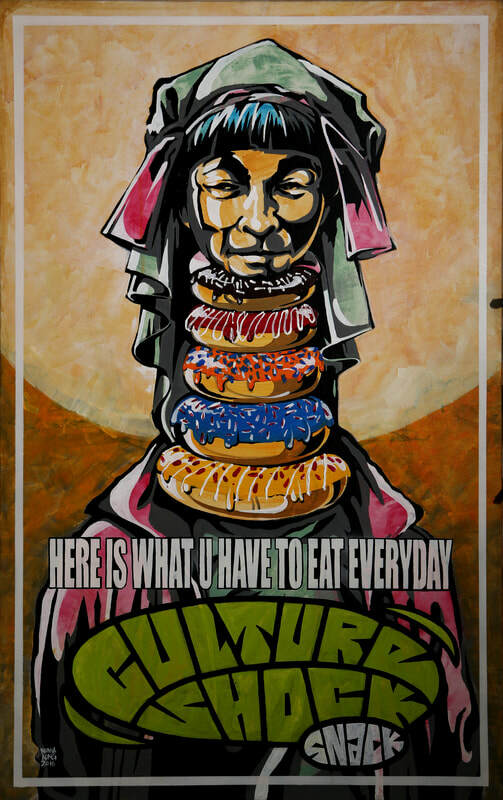 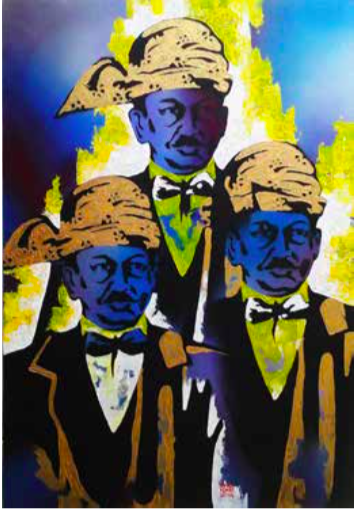 They use traditional imagery transmuted in pop-art and comics art to question with a great sense of humour the current changes of Burmese society. 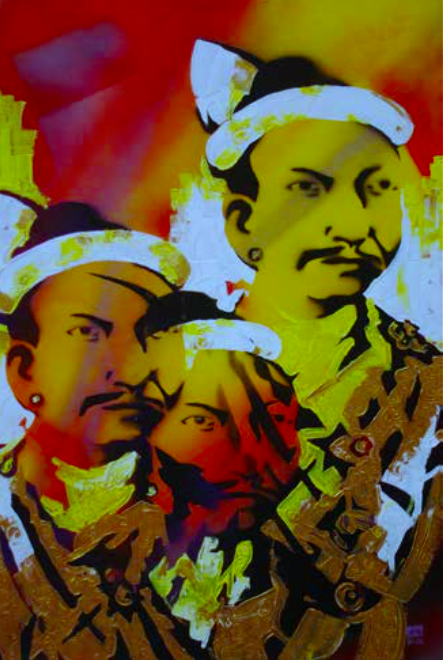 ​In the nineteenth century the Konbaung dynasty acted as a patron for the arts. In 1885, when the British sent King Thibaw and Queen Supayalat to India for a life exile, Burmese painting experienced a shock. 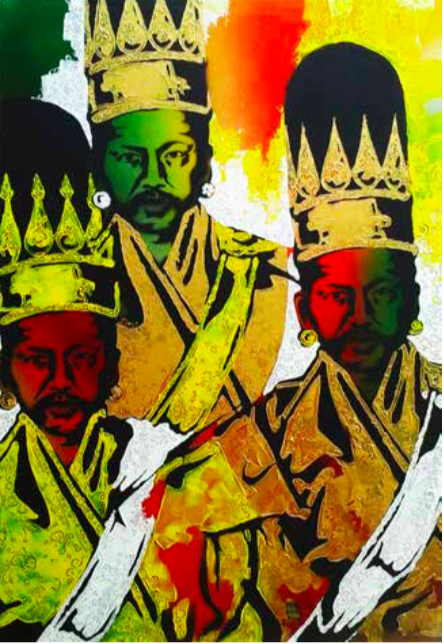 suggests that Burmese culture, which was at risk after the fall of the last dynasty and during the colonial time, is again endangered by the current exposure of the country to globalization. 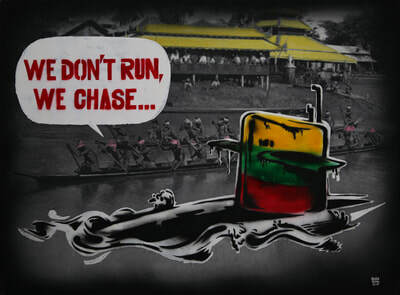 Archive photos of Myanmar during the colonial time serve as background for poster like images with stencils, tag lines and images which denounce the political leaders. 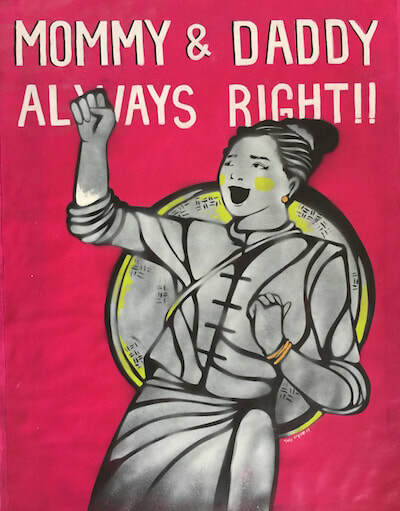 Thu Myat's artistic practice is rooted in a long tradition of comics and caricatures. 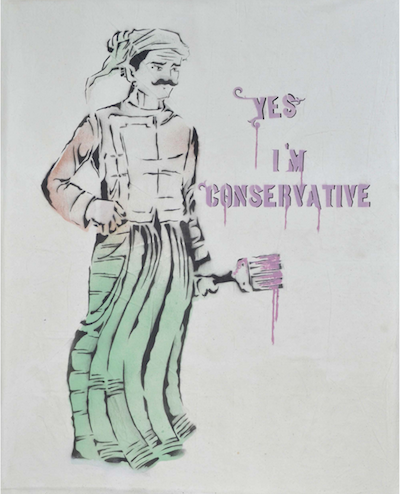 He always intends to make the viewer laugh, even to address serious matters such as the disillusionment caused by the immobilism of the new government. 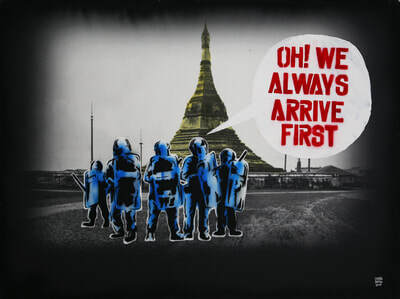 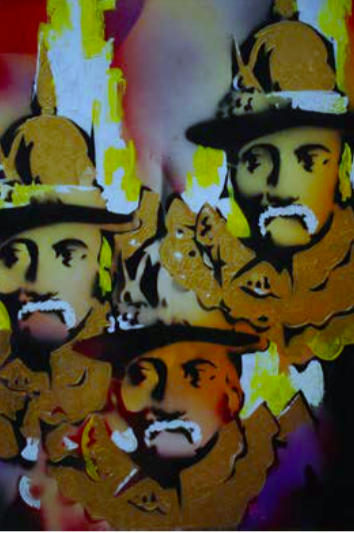 His tools are those of street art: stencils and spray and always a pinch of humour. 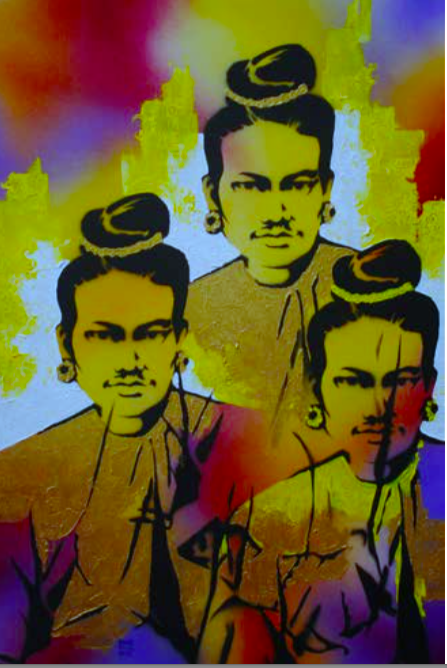 Wunna Aung and Thu Myat have their own style to address the culture shock caused by the globalisation in a country that was almost hermetically closed for close to 50 years.